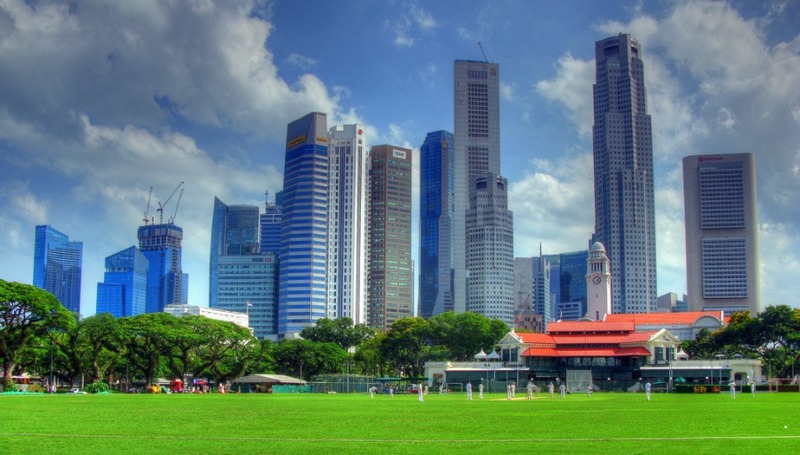 There is so much to do in Singapore for both adults and children. From theme parks to bird watching to island trips to botanical gardens – there really is so much to inspire and excite toddlers on holiday in Singapore. Add in fantastic transport links, high quality accommodation and plentiful flights from the UK and you have everything you need for a memorable family holiday. 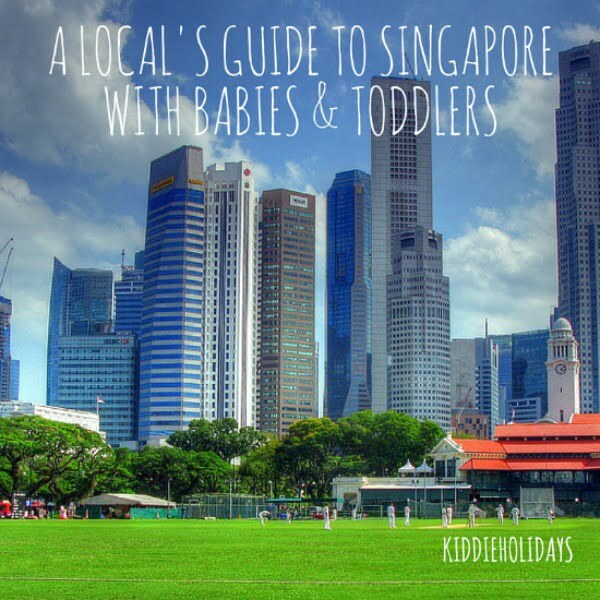 My friend, Michelle, is Singaporean and is the mother of an 18 month old little boy – here are her tips on her favourite toddler friendly things to do in Singapore. What used to be a prawn and fish farm is now a great spot for bird watching and a great outing destination for families who love nature. Sungei Buloh (pronounced as “soon-ngai boo-low”) reserve is situated at northwest of Singapore and is a great place to introduce your toddler to mangroves, tropical plants and insects. There are free guided tours and demonstrations on prawn harvesting. Please check the website for schedule of activities. Getting there : The simplest way to get there is by car or taxi. Singapore Zoological Gardens is one of the popular tourist attractions in Singapore. It can be very crowded during weekends, school and public holidays. It is well known for its beautiful rainforest settings and unforgettable experience to dine with the Orang Utans. 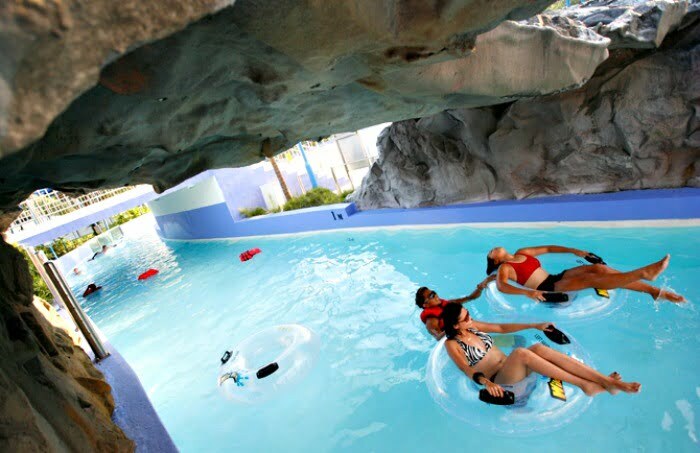 Bring your swimming costumes as there is a wet park called Rainforest Kidzworld, suitable for kids of all ages. 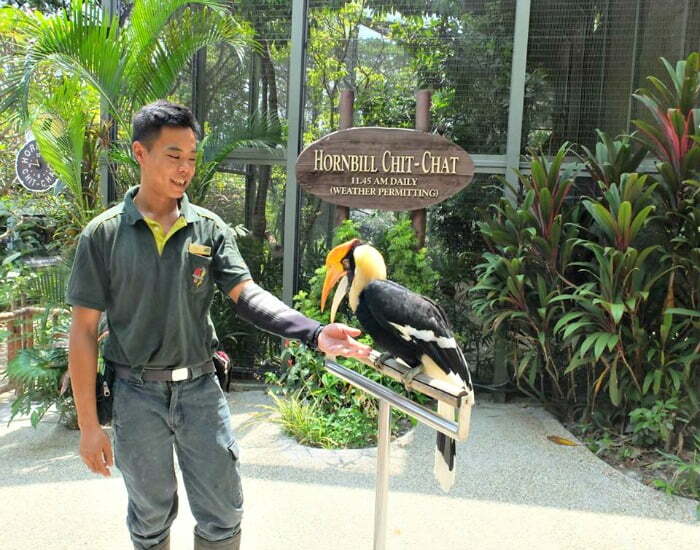 At Singapore Jurong Bird Park, you get a chance to feed the birds in a 9 storey high lory loft, and take a walk into one of the largest walk-in waterfall aviary with over 600 birds. It is a good place for children to get really close to birds and learn about them. Bring your swimming costumes as there is a wet park called Birds of Play for toddlers and kids. Getting there : Nearest train station is Boon Lay then transfer for public bus. Be prepared to spend at least one day at Sentosa island which is situated in the south of Singapore. Toddlers will enjoy Universal Studio in Resorts World, butterfly park and insect kingdom and underwater world, dolphin lagoon and many more. There are beaches around the island with events going on. Check the website for updates on events. If budget allows, you can choose to stay on the island for a day or 2 with more than 10 hotels to choose from. Getting there : Take a train to Harbourfront and take a cable car from there. 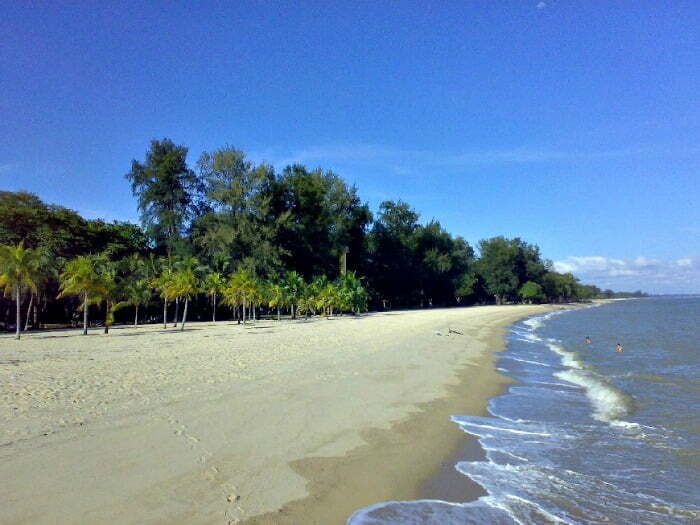 East Coast Park is one of the popular parks in the Singapore with a long stretch of beach. You will find restaurants, cafes, bicycle and roller blades rental shops by the beach. There is a also an indoor soft play area, Polliwogs (near to Long Beach Restaurant) which is a good wet weather option. Polliwongs is suitable for babies to kids up to 11 years old. They have a separate play area for young babies. 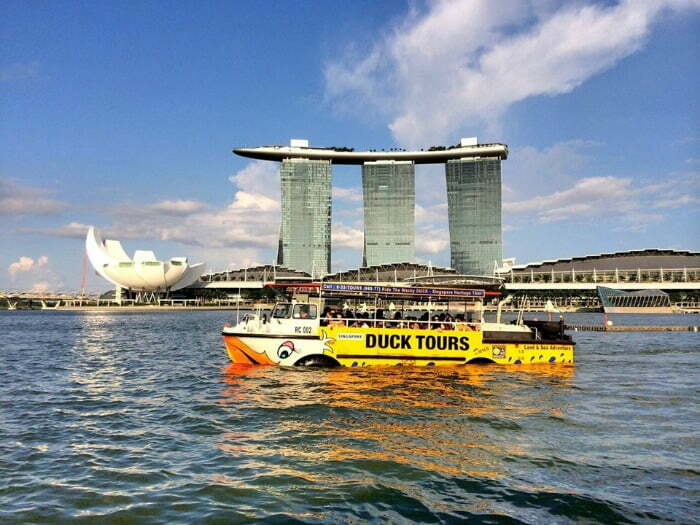 The Singapore Duck Tour comprises of an hour ride on land and sea which both children and adults will love!. Every ride comes with an English speaking guide who will take you through the trip. Look out for the big splash as the amphibious craft jumps in the river! Getting there : Take the train to promenade station to get to the ticket booth in Suntec City. Arrive at least 30 minutes before the ride. Pulau Ubin (pronounced as “Poo-Lau Oo-Bin”) which means Tile Island, is probably the only surviving “Kampong” (means village in Malay) in Singapore. Let your children experience the village life and enjoy the nature of this little island. You can explore the island by cycling or walking. You can also fish or camp on the island with your own fishing and camping equipment. 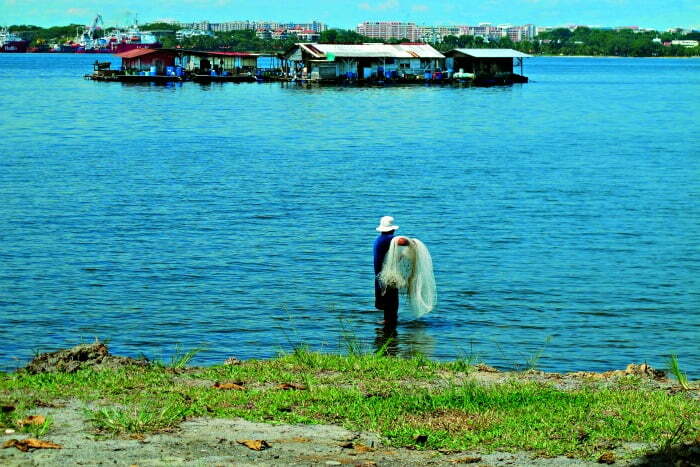 It is a small island and is ideal if you are planning for a one day trip. Toilet facilities are basic and it is not convenient to use a buggy for this expedition. Getting there : Take a bus to Changi bus interchange and take a 10 minutes bumboat ride to Pulau Ubin. 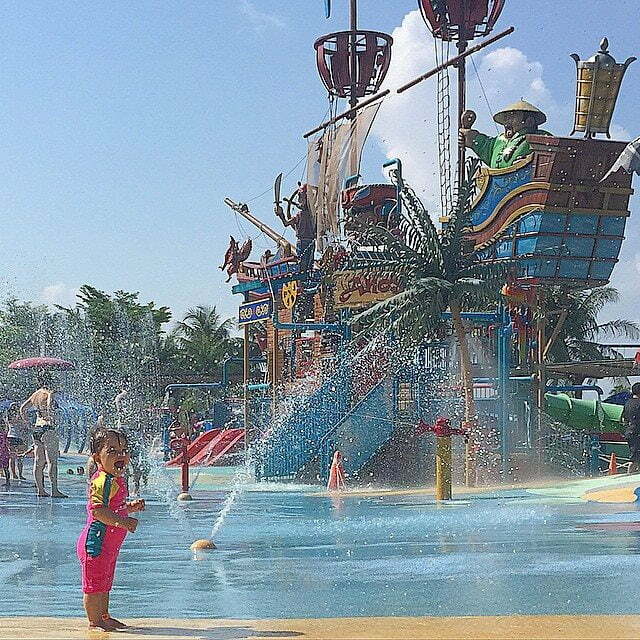 As the weather is hot and humid in Singapore, water plays and water parks are very popular with the children. It is now very common to find a water play area in an outdoor area of a shopping mall. Wild wild wet is probably one of the largest water theme park in Singapore. It has various areas for tots all the way through to adventurous adults. Getting there : Take a train to Pasir Ris station and get on a shuttle bus. Punggol is a new town in the northeast of Singapore. 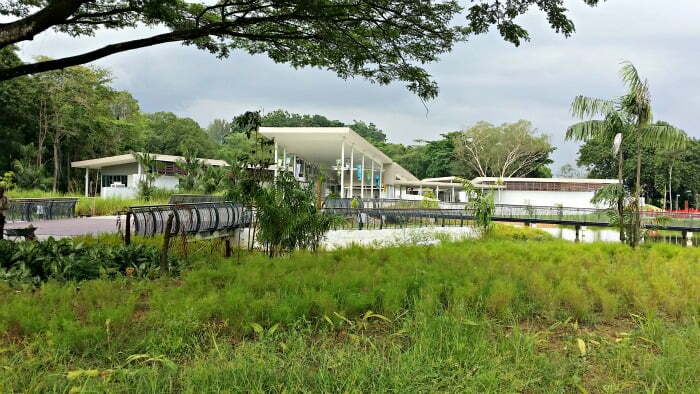 Many young families set up their homes here and Punggol park was built to create recreational space among the green for them. You can take a long walk along the park and fly a kite in the big field. You can walk from the park to Punggol Riverside and find seafood restaurants, other eating places and a place for fishing and prawning. The children will enjoy catching their own dinner which you can cook on a barbecue pit included in the rental of the fishing equipment and fee for fishing. Getting there : Take a train to Punggol and the LRT (Light Rail Transit) to Riviera station. 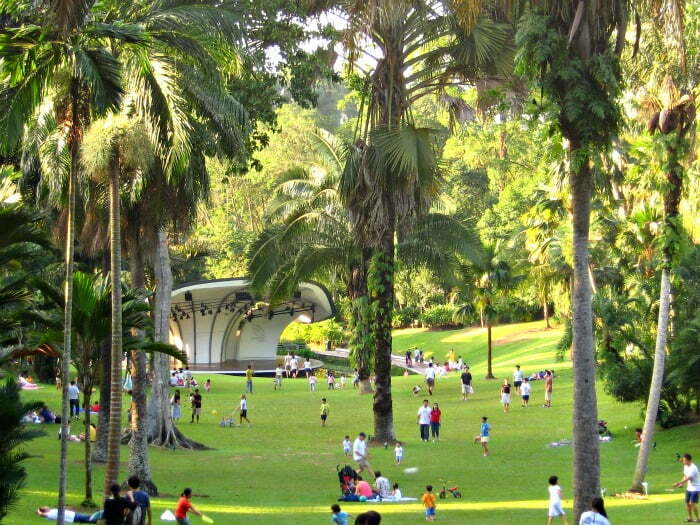 Take a walk to Asia’s first children garden in Singapore Botanical gardens. It is designed to educate and cultivate children’s interest in gardening, nature and plants. All the trees are labelled so you can learn more about the tropical plants in Southeast Asia. 1. Taking the MRT (Mass Rapid Transport) is cheap and easy in Singapore. There’s a lift at every station for buggies. Alternatively, it is pretty affordable to travel by taxi. 3. Most Singaporeans speak English and are willing to help tourists. Feel free to stop a pedestrian if you are lost. 4. Singapore is made up of of Chinese, Malays, Indians, caucasians and Eurasians. You will find a mix of mandarin, malay and tamil in road names and names of places. 5. Traveling in Singapore is pretty easy. Taxi stands are easily available or you can flag down a cab along the road if they are vacant. 6. MRT (trains) operate from 5.30am to midnight. 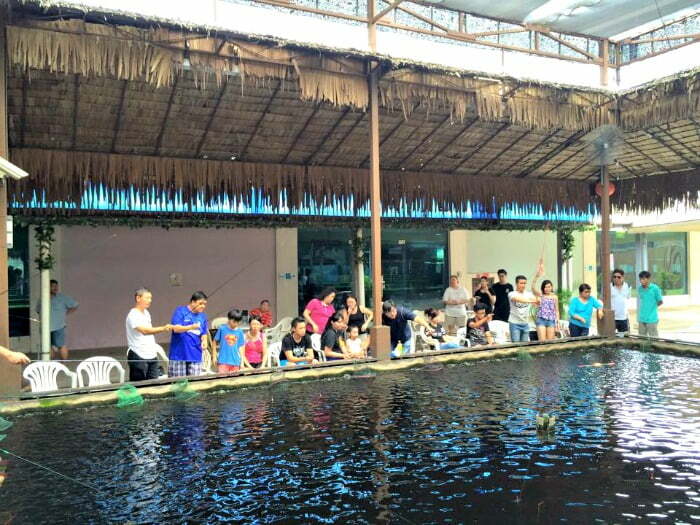 All the points were really good but the places I would love to visit is zoo and Punggol Waterway and prawn fishing…. I must say this article is very well written. I glad that you shared it with me thanks for sharing this article.